This year our Vice-President for Busienss & Law, Erica Ramos is leading our #FreePeriods campaign which aims to provide free sanitary products to students on campus that need them. We believe that the University should provide free menstrual care products in toilets on campus. We are running monthly Free Periods actions on campus starting with our petition launch on November 14th. Periods are bloody expensive. The average person spends approximately £6 per 28-day cycle on sanitary products - that's more than £77 per year. The arbitrary way in which businesses profit from periods and add to the living costs of people who menstruate is unfair and sexist. How does it affect students? Over half of all the students at Middlesex menstruate every month. To put this further in context that’s over half of students on campus spending more than £77 a year on sanitary products. Once you put this cost alongside tuition fees, accommodation prices and ever inflating transport costs that is a lot extra cost that these students incur. 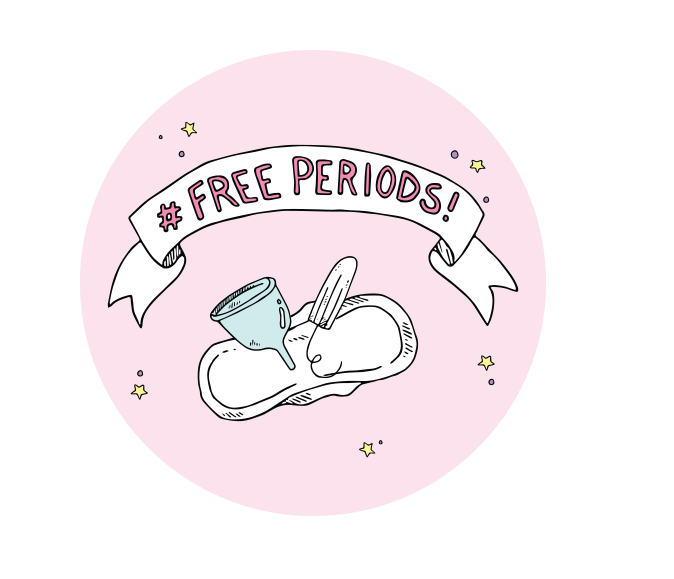 MDXSU have made this campaign so students will be able to come and get free sanitary products (tampons, pads and mooncups) from the MDXSU Welcome Desk every Tuesday from 10am-4pm for free. On every other day of the week you will be able to buy the products at cost price from the Welcome Desk from 10am-4pm. HOWEVER we believe that the University should provide free menstrual care products in toilets on campus. Please sign this petition if you agree. If you are interested in being part of the movement to ensure free sanitary products for all, please email Erica Ramos. *You can redeem one free packet of tampons OR pads per student, per week.